We have a few peony plants in our garden. We notice that ants seem to love the bud heads in early spring. After doing some reading the peony and ant seem to have a symbiotic relationship. 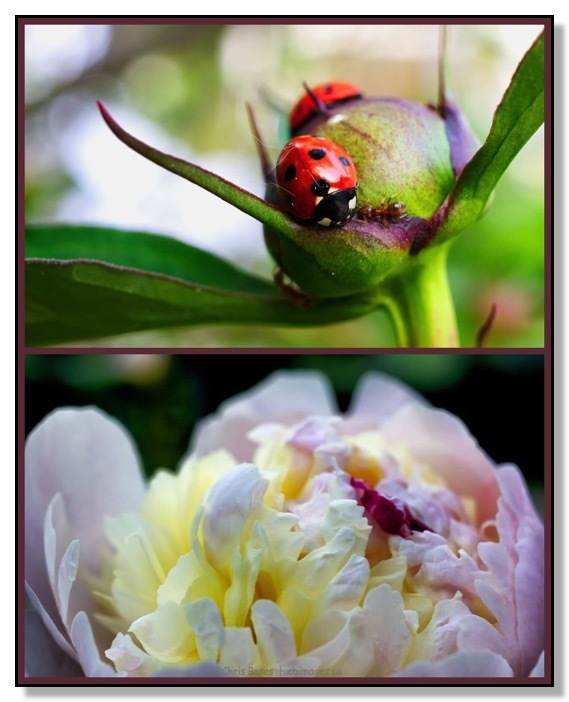 The peony bud produces nectar to attract ants. The ants are protective of food sources which in turn will keep other pests away. The end result is well feed ants and beautiful and huge peony blooms. As promised another ladybug image to share. 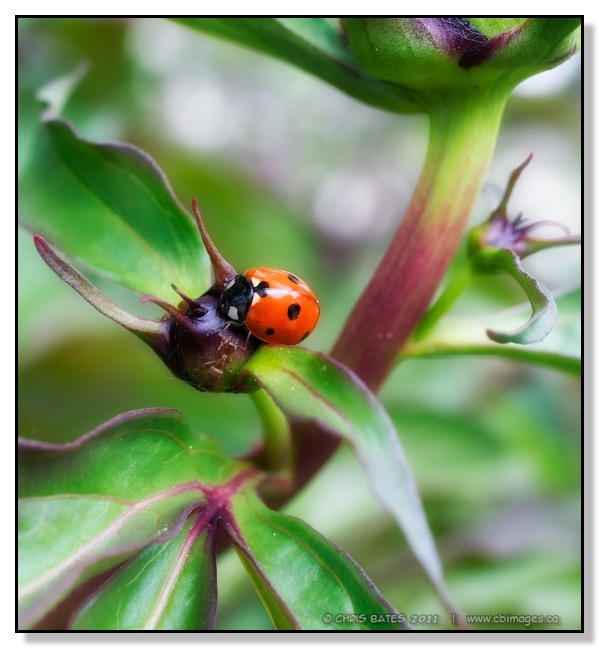 This ladybug is sharing a peony bud with an ant. The ladybug was sitting perfectly still while the ant was probing this large creature with her antenna.